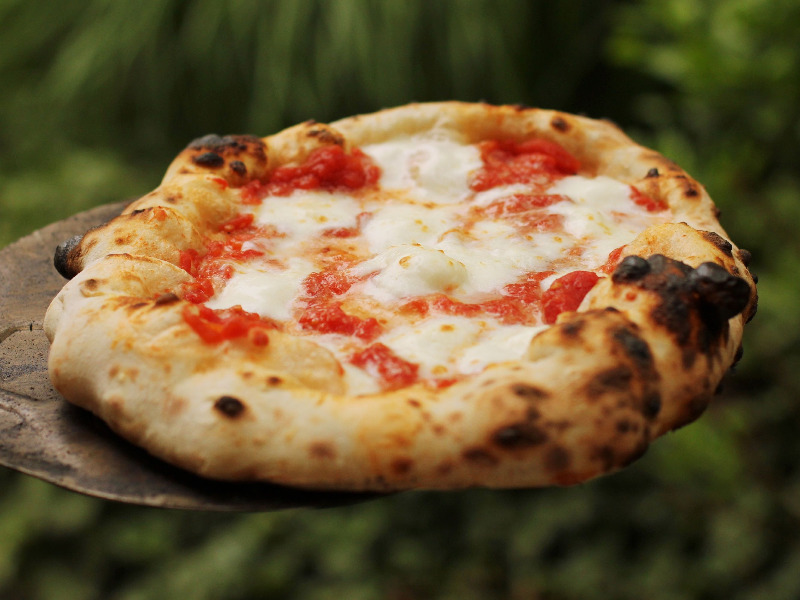 After a long winter hiatus, we were anxious to fire up the wood burning oven that we built last summer and pick up where we left off in our quest to make authentic Neapolitan pizza. Now that the oven has been built, we're anxious to start baking. Pizza and focaccia are the first items we'll be making. But before we begin, lets take a look at the tools that are required. At this point where we left off in part one, the oven is completely functional, but clearly not very attractive. We considered several finishing options before deciding on ceramic tile. This decision meant that we needed to purchase a wet saw to cut the tiles, a purchase that made me very happy.